Our Holy Cross Buffalo Leather Purse will lay trim against your body. This leather purse is American made and handcrafted from American Bison leather. 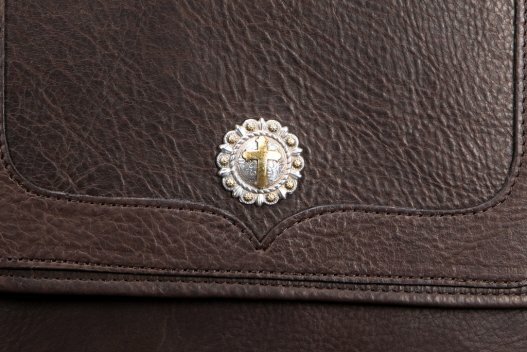 Purses with Crosses that are made from high quality leather aren’t always easy to find. Our Holy Cross Trim Style Purse has shoulder straps fastened to the back side of the purse, rather than on the centerline of the gusset. Because of this, the purse will lay flush against your side. This version of our Trim Style Purse comes with a holy cross. You can easily adjust the strap using a smart looking, solid brass, centerbar buckle. 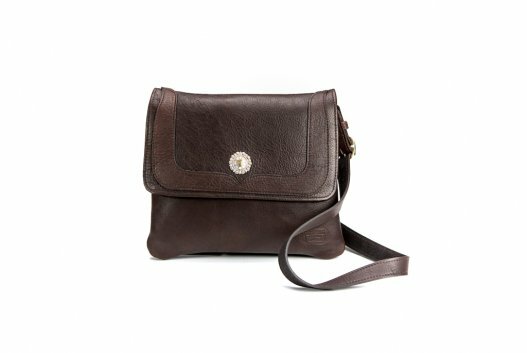 This purse is medium sized & wide enough to easily hold our buffalo French Clutch Wallet. Inside, you will find two interior pockets; one for a cell phone and the other containing a vinyl card case. We didn’t forget you carry keys and coins! 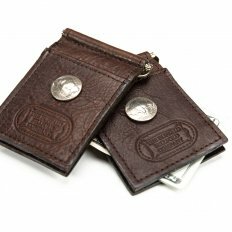 This Trim Style Purse sports a snap out leather key ring and snap coin pocket. We go to great additional expense to put a finish on the back side of this beautiful leather. 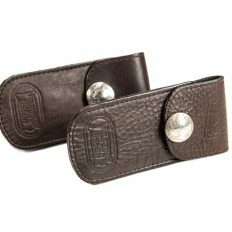 This allows our Trim Style Purse to be made entirely of buffalo leather. No fabric lining because it wears out far too quickly! The Holy Cross Trim Style Purse is durable and built to last! I don’t usually do reviews, but I just had to on this purse. I’ve had my purse since January (Denver Indian Mart) and I just love it. At first, I wanted a shorter strap but after talking with Lauri and understanding the design I thought that I would try it before changing it. Lauri I’m glad I listened to you. 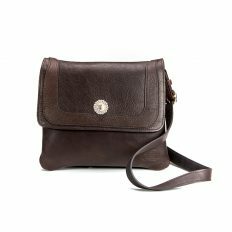 This purse hangs nicely on the shoulder and close to your body no more frumpy, bulky bag for me. 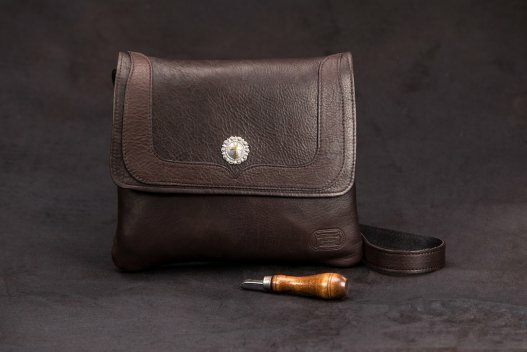 I really love the buffalo leather very durable and supple along with the excellent craftsmanship that has gone into the making of this wonder purse. I did however, change out the concho for just a touch of bling and used a concho with Swarovski Austrian Crystals in it. The color of it plays off the gold buckle.